Portability laws and the opportunities they create have significantly increased advisors’ roles in estate planning. No longer is the standard credit shelter trust (with QTIP or outright distribution to spouse) the only way for married couples to plan. Now, CPAs, insurance professionals, and financial advisors have a larger and more complex role in determining whether an estate plan should be credit shelter or portability based. The best news is that, other than having to file a federal estate tax return (Form 706), there is no downside to including portability in a plan. Portability was meant to simplify tax planning. Of course, it doesn’t. However, portability does provide estate tax planning (without the use of credit shelter trusts) by permitting spouses to transfer their unused estate tax applicable exclusion amount to their surviving spouses. Surviving spouses can then use their deceased spouses’ unused exclusion (“DSUE”) for either gift or estate tax minimization or even elimination. In fact, they get to use all of the DSUE plus their own estate tax exclusion amount. Though portability had been on the books since 2010, planners didn’t know whether it was here to stay and were hesitant to rely on its benefits, unanswered questions, and uncertainly of application. However, at the beginning of 2013, portability laws became “permanent” under the American Tax Relief Act of 2012 (ATRA) and now it’s an essential part of estate and financial planning. Fortunately, your clients can have the best of both worlds. Portability and trust protections are not mutually exclusive. Assets can flow into a QTIP (i.e., marital) trust, providing asset protection and family line protection; and, so long as the portability election is made, the DSUE is reserved for estate tax minimization. 1. The DSUE is a monetary asset and, therefore, must be included in estate and financial plans as well as prenuptial and postnuptial agreements. 2. An individual can use more than one DSUE. Potentially, the number of DSUE is unlimited. 3. Portability is not automatic and the election must be made on an estate tax return, the 706, within 9 months of death or within any extensions actually granted. 4. There is the potential for Section 9100 relief to file the portability election beyond the 9-month (plus any extensions actually granted) deadline. 5. The portability election is irrevocable once the 9-month (plus any extensions actually granted) deadline has passed. 6. Even if the surviving spouse does not have assets in excess of the Section 6018 filing threshold (federal estate tax exclusion amount), it is prudent to consider a protective 706. 7. Portability offers federal estate tax planning without requiring an equalization of assets between spouses or their trusts. 8. Portability allows a second step up in basis at the death of the second spouse, whereas the credit shelter trust alone provides only a step up in basis at the death of the first spouse. 9. Trust planning remains relevant for tax planning, asset protection, and family line protection. In fact, trust planning and portability can be used together and are not mutually exclusive. 10. Trusts add a layer of complexity by requiring an annual tax return (Form 1041) as well as the fiduciary duty to manage trust assets. 11. About 15 states still have an estate tax, some with exclusion limits below the federal exclusion. This means tax planning remains relevant, even if an estate is below the federal estate tax threshold. Why would wealthy widows and widowers evaluate the DSUEs of potential spouses? Because a surviving spouse only has access to the DSUE of his or her most recently deceased spouse. Marital agreements, estate plans, and Match.com profiles are missing analysis of an important monetary asset – the DSUE. This creates an opportunity for attorneys, CPAs, and financial professionals to recommend and carry out premarital planning. Interestingly, remarrying has no effect on DSUE. Your clients have a right to their deceased spouse’s DSUE, even while their second spouses are still alive. Wondering how that can be? You’re not alone. Remarriage does not change the identity of the most recently deceased spouse. If portability has been elected, your clients have a right to the DSUE belonging to their spouse who most recently died. The fact that they have a second (or third) spouse is irrelevant – so long as that spouse is still living. In fact, your clients can use all of the DSUE from a previous spouse by making lifetime gifts and then use the DSUE from a second spouse the day after that spouse dies. Yes, a surviving spouse can start using the DSUE by making taxable gifts as early as the day after death, even before the Form 706 has been filed and the portability election has been made. Sounds like an episode from Desperate Housewives, doesn’t it? As the plot thickens, keep in mind that the portability election must be made by filing a federal estate tax return, the Form 706. The election is not automatic and the benefit will be lost if the return is not filed. This filing requirement creates the opportunity to add value by advising clients on an easily overlooked tax savings opportunity and then preparing the tax return (or referring the preparation to a CPA or attorney colleague). On the subject of tax returns, when a “timely” 706 is filed, portability is deemed to be elected, unless an accompanying statement has been made to the contrary. There is no box on the 706 to elect portability. It’s assumed. And “timely” means that the 706 must be filed within 9 months of the date of death (or within actually granted extensions). There is a chance that Section 9100 relief may be available to make the portability election beyond the deadline (for estates under the estate tax threshold). There is no guarantee, but this, again, creates an opportunity for you to get your client a benefit that may otherwise be lost. Continuing the Desperate Housewives theme, only the estate’s executor has the authority to elect portability. If no executor has been appointed, the “executor” for the purpose of electing portability is any person in actual or constructive possession of property of the decedent. If there is more than one executor, all executors must sign the 706 return, even if it is filed solely to elect portability. Here’s where it gets messy: The “executor(s) must sign” rule has the potential to increase family discord when the surviving spouse is not the parent of all the deceased spouse’s children and interests conflict. However, there are no negative consequences to the children (or any other beneficiaries) if the portability election is made, so even in families that don’t bear any resemblance to the Brady Bunch, a portability election may help a spouse, but it will not hurt the children or any other beneficiaries. That being said, an executor may elect not to file a 706. Usually an election is intentionally not made because of a conflict between surviving spouse and children of the deceased spouse, but sometimes an estate is filled with hard-to-value assets that would require the expenditure of large sums to assess the value. Maintaining the family strife angle, but going back to planning with portability for a moment: Portability provides for use of the DSUE and doesn’t require an equalization of assets between spouses or their trusts. This may be especially important in second marriages or when one spouse owns assets such as a closely held business or professional practice that cannot be transferred to a spouse. Portability is also a good back up plan for clients who never took your advice and neglected their estate planning. Even if your clients took your advice and have a tax plan in place, portability allows a second step up in basis at the death of the second spouse, whereas the credit shelter trust allows a step up in basis at the death of the first spouse only. However, trusts remain relevant for both tax and non-tax reasons and shouldn't be eliminated without thorough analysis (e.g., asset protection, family line protection, and family relationships promotion). 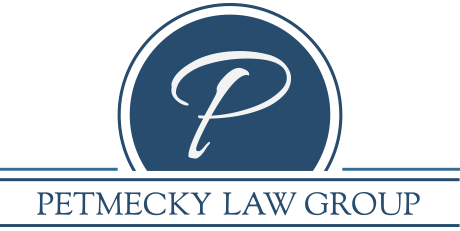 Your clients still need to be protected from lawsuits, bankruptcies, medical crisis, and predators – including new spouses – and, sometimes, themselves. While keeping in mind that trusts require an annual tax return (Form 1041) as well a trustee with a fiduciary duty to manage trust assets, trusts and portability can be used together and often are. First, we all need to remain aware of pesky state estate tax consequences. Although the state estate tax landscape is changing rapidly, about 15 states still have an estate tax. Many of those states allow exclusions limits below the federal exclusion, meaning that even if your clients don’t have a federally taxable estate, state estate taxes may hit hard if they are a resident of or own property in one of those states. Second, just like a syndicated show with an antagonist who always comes back for more, the Internal Revenue Code (IRC) extends the IRS’s right to examine (and reexamine) the estate tax return as to its portability election to confirm the DSUE amount. Each time a surviving spouse uses DSUE, that portability election can be checked. 1. Contact your married couple clients and offer analysis of their credit shelter planning. Would portability be a better fit for tax purposes? Do the documents include trust protector or independent trustee to allow for future flexibility if the laws change yet again? Do they know to request a 706 filing at the death of the first spouse? 2. Meet with surviving spouses and determine whether there are outstanding income tax implications. Can you achieve a step up in basis? Has a 706, electing portability, been filed? Is there still time to file? Is there an exception that would allow late filing? Does the deceased spouse’s trust include trust protector or independent trustee to allow for tax planning flexibility? 4. Offer prenuptial portability counseling to single clients who may be contemplating remarriage. a. Your clients need to know that they will lose their DSUE from their previous spouse if their new spouse dies during their lifetime. b. It may be appropriate to financially compensate a spouse whose DSUE is reduced by remarriage. Life insurance can fund such compensation plans if other liquid assets are not available or under client preference. 5. Let your clients in second (or third) marriages with a DSUE from a previous spouse know if their current spouse becomes ill, they need to seek advice immediately. If it won’t adversely affect their lifestyle, it may be appropriate to make taxable gifts to use the DSUE before it’s wiped out at the death of a second spouse. 6. Contact our office for assistance in analyzing your clients’ plans for portability benefits and pitfalls. We’d be happy to collaborate with you.